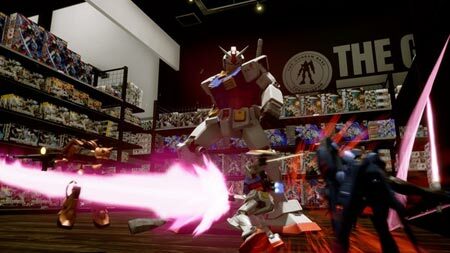 New Gundam Breaker is an awesome Mechs action game from Crafts & Meister Co., Ltd. Collect Gunpla parts with friends, and make the ultimate Gundam. Defeat your enemies with your Gunpla model, collect their parts, and use them to make and battle with your own custom Gundam. Power is everything at this school, and the evil Laplace Nest team rules from on high. You have to bring order to the school and peace to the girs’ hearts. Compete in 3 on 3 online Gunpla battles with Build Fighters across the country. Use Gunpla parts won from enemies to instantly customize your Gundam model in real-time customization battles. If you get stuck in the game, check out the video walkthrough and gameplay for the game. This entry was posted in PC Games, Walkthrough and tagged New Gundam Breaker Achievements, New Gundam Breaker Characters, New Gundam Breaker Cheats, New Gundam Breaker Game, New Gundam Breaker Gameplay, New Gundam Breaker Guide, New Gundam Breaker Hints, New Gundam Breaker Review, New Gundam Breaker Solutions, New Gundam Breaker Strategy, New Gundam Breaker Tips, New Gundam Breaker Walkthrough by Marvin. Bookmark the permalink.